The Montessori 101 Community group was created in 2013 in order to provide a place for parents and teachers around the world to discuss how Montessori philosophy can be used both in the home and in the classroom. We take a special interest in empowering parents, and we hope to inspire a new generation of Montessori teachers. We see Montessori as a way of life, not just a method of education. Our 95,000+ member volunteer-run Montessori community is hosted on Facebook, and if you're not a member yet, we would love for you to come join us. It's 100% free. The discussions are open 24/7 for conversations, inspiring photos, and world-wide friendship. Click here to request to join. Make sure to read our guidelines first and answer the two screening questions asked. The Montessori 101 Admins regularly host FREE Live videos right inside the group to answer your questions about Montessori and chat in general about Montessori parenting, homeschooling, choosing a Montessori school, and becoming a Montessori teacher. The next Live video is TBA. To watch, simply go into the Montessori 101 group at that time and refresh the feed to participate. You can also watch some of our more recent Live Videos saved as replays, linked for your convenience below. Note that you'll need to be a member of the Montessori 101 group in order to watch them. Thank you for those of you who attended our first free online conference, Welcome to the World of Montessori hosted by Montessori 101. Stay tuned for announcements about upcoming online conferences. Aubrey is the creator and a co-admin of Montessori 101. She is also the founder of the Child Development Institute of the Redwoods (CDIR). Her own Montessori journey began long ago when she was a little girl. She is an experienced Montessori teachercertifications in a variety of ages, including Lower Elementary through the American Montessori Society. Aubrey also taught in public schools for many years, mostly as a Kindergarten teacher, incorporating Montessori philosophy into the classroom. She envisions a world where Montessori principles has truly been incorporated into mainstream education. She is currently homeschooling her own children in San Francisco and teaching online courses on Montessori parenting. Read Aubrey's article, "I've Got Five Minutes: Explain Montessori to Me". Amy is the creator and writer behind Midwest Montessori. Now with a degree in Early Childhood and Elementary education and Montessori primary teacher certification, she hopes to share her passion for Montessori with parents online through her educational website, online parenting courses, and one-on-one parent consulting. Amy is currently preparing to enter the world of teaching, as well as graduate studies in Montessori education. Amy’s goal online is to help parents give their children the gift of a Montessori childhood - a gift for life. Read Amy's article, "The Most Important Aspects of Montessori in the Home". 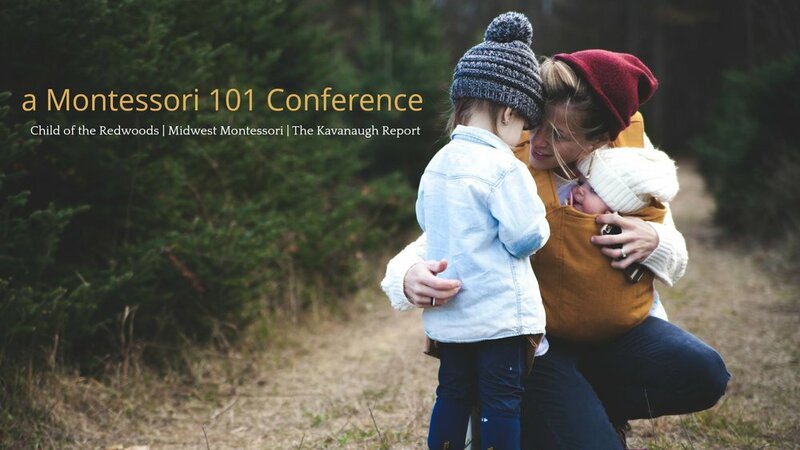 Nicole is the writer and creator of The Kavanaugh Report, which documents her family's Montessori home and educates parents on how to incorporate Montessori into their lives. Nicole holds a B.A. in History and a Juris Doctor (J.D.). She has been studying Montessori philosophy for the past six years. As a co-admin of Montessori 101, Nicole strives to help parents incorporate Montessori at home, no matter where they are in their Montessori journey. Nicole lives in Minnesota with her husband, three children, and three dogs. Read Nicole's article, "How Can Parents Best Support Montessori Teachers?" Behind the scenes, the Montessori 101 community has a large team of moderators working to make sure that the discussion stays positive and focused on Montessori. We LOVE our Moderator team! If you see a moderator working to educate the members in the Montessori 101 group, take a minute to say a big Thank You for their hard volunteer work! Our moderators often work anonymously inside the group, posting reminders of our guidelines under the "Montessori 101 Mod" name and also respond to questions directly about group management/issues through the Montessori 101 Mod Page. You can message the team directly if you have any questions .